During my investigation into BBX I established that a security problem existed in the storage and access of critical financial and personal information within the company management systems. I advised the public by way of my blogs, and other key people and entities, alerting them to the issues involved. These issues are at a criminal negligence level, depending on the jurisdiction. This is now the formal public notification of this data breach, issued in the form of a Media Release. The data security breach has been longstanding – years. This means that critical data can be and probably has been accessed by many people from many countries (at least eight that I know of: New Zealand, Australia, Malaysia, Hong Kong, Singapore, China, India and the UK) and potentially dozens of people in senior positions and potentially who knows how many staff during the years the problem has existed. The data security breach contains financial data that would be considered ultra critical and highly sensitive information of the highest order. I will repeat that put another way. There is information available of a nature that being exposed goes beyond a simple breach of PCI compliance into a criminal nature. We are not talking of simply somebody seeing your account balance or just getting your credit card name and number . . . no, this is simply the start. In the Media Release I quote an expert that I spoke to who told me this, “Dennis in all my years of IT security work this is the worst case I have ever seen”. I don’t lie and I have a lot of experience at my fingertips including some very experienced IT specialists. With the demise of BBX imminent, the likelihood of the compromised data being extracted and being copied to other parties will increase exponentially as the various Franchisees act to protect their own interests. Imagine that you are going to lose access to your clientbase which will include as a by-product sensitive client information – what would you do? You would be likely protect your livelihood and income streams. This data WILL CERTAINLY be compromised very shortly. The likelihood of cooperation from the company is low unless forced into a position that they must act. This is a company that has refused to address this issue even though it has been raised repeatedly over years yet hid it and pushed it under the carpet – deliberately, knowingly and this attitude continues to exist to this very day. The data HAS been compromised. I have seen enough evidence that I KNOW that the data has been compromised. I strongly suspect that it has been compromised more than once too over a long time, but that the perpetrators are choosing not to use it or sell it. For what reason(s) I could guess but it doesn’t change the facts that while the worst case scenario for BBX and BBX Members (they all lose their entire Credit Card balances etc etc) may not have occurred yet, it’s an inch away from possibility. I, and the banks, assess this is a RED ALERT situation for all BBX Members. I can but will not contact any BBX Member proactively. I have no need or interest in doing this and as an investigating blogger determined to close the BBX operations down, I don’t NEED to do more. My focus is on moving forward and securing the evidence that the authorities need for convictions. I believe that with this Media Release, the industry and this includes the industry watch-dog IRTA, other barter trade exchanges and everyone associated with BBX should take up the cause and stop the rot. This financial data breach is too serious an event for one blogger to take responsibility for. I have and will answer individual calls as or when I can and offer advice, but I have done what I consider my job getting the message out here – plus I am halfway through writing the book Bartercard SECRETS, which has taken on an urgency now that wasn’t there before BBX’s demise. There are also various ethical and legal considerations that make it a marginal exercise for me personally. When did IRTA receive notice of publication? Answer: It was prior to publication on 10th February 2017. Did this include information relating to serious data security issues (and other serious offences) that should have initiated action on their part? It did. Did IRTA speak to me or establish facts sufficient for immediate termination of BBX forthwith; and did they have access to that information? The Answer is no, but they could have and did have. Does it concern you that potentially 88,000 carholders of an International barter exchange in more than half a dozen countries is getting roasted online, is clearly going down and now shown to have massive data security issues? What have you done about it? 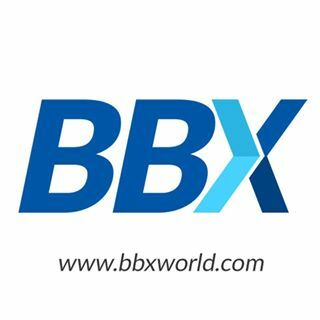 To BBX International Franchisees, particularly those who have defended the brand and business of BBX and to the ex Franchisees and ex staff members and current staff members . . . did you and/or will you stand up and be counted, or will you go down with the ship? I’d prefer to be a rat that jumped ship and SEEN as a rat abandoning the ship rather than to hide from sight and go down with it. This is your chance to stand up and be counted. Once it is gone it is too late to claim any credit. You will just be seen as one joining in on the bandwagon. Affirmative action in public now will cement you in the minds of others forever as proactive and standing for ethics. Failure to act will be seen as complicity. There are multiple criminal acts that have occurred within the BBX operations and going back many years. Many people know this although few people know the lot. Somebody, somewhere, sometime has the opportunity to come forward and do the honourable thing. The Police in many countries know already and are just ready and waiting to hear your story. There are two clarifications I wish to give . . . the two quotes supplied by BBX CEO Carolin MacDonald and IRTA’s Ron Whitney, are actual quotes from actual words spoken and written, about the subjects PRIOR to issuing this Media Release. The reasons for this use of aged quotes are that the Media Release was held until the appropriate authorities knew and did what they had to do before it could go out, and obviously cooperation from the two entities mentioned has been rather ‘difficult’ shall we say. It is an expectation that a Media Release contain some aspect of a story with life, and human input from multiple parties. I consider the use of these quotes accurate in the context of the entire BBX saga though. Auckland, New Zealand: Investigative blogger Dennis A. Smith warns that critical financial and personal information from members of an International barter company, BBX International has been seriously compromised. He states that credit card companies Mastercard & VISA have already been advised and that all BBX members are advised to contact their Credit Card Fraud Office immediately and follow their instructions. “According to what I have been informed, this is considered to be a very serious breach of data security,” Mr Smith says, “From information received to date, the breach appears to be an internal management issue rather than a hacking attack affecting all members internationally”. The banking industry has tightened regulations surrounding the storage and transmission of personal and financial data in the last decade. “PCI [Payment Card Industry] compliance is an absolute must for all businesses nowadays,” Mr Smith says. “It’s part of a worldwide effort to combat cyber-crime and money-laundering with substantial inter-bank fines issued for security breaches”. BBX International CEO, Carolin MacDonald has confirmed that the number of cardholders displayed on the company website (slightly over 88,000) is correct and up-dated in real-time. Investigations are on-going and of an international nature. Recommended action: All parties affected should contact their issuing Credit Card Fraud/Security service and follow their instructions. They may wish to also instruct their local branch of BBX International to remove their financial and/or personal information from any insecure system. About the Author: Dennis A. Smith is an author and investigative blogger operating from New Zealand. He specialises in providing analysis and commentary in the alternative currency sector which includes commercial barter. His investigations include the international Ormita fraud, the report of which led to the fraud’s speedy closure; a three-year expose of a Dutch scam & his book The Qoin Con that led to Qoin’s bankruptcy for more than £500k; a damning analysis of the Australian barter company, Bartercard which he claims operates like a Ponzi Scheme, and more recently, The BBX Investigation, in which his blogging has revealed serious deception & management deficiencies across eight countries. The epigram of our time is “Error has no rights.” This was the doctrine of the fiery Inquisition, of the head-chopping French Revolution & of the Bolsheviks, Nazis & Maoists. If error has no rights then neither does truth, in that what is denounced as hateful error by the mob is sometimes a destabilizing, necessary & even cosmic truth. i am currently trying to close my barter account as due to retireing i closed my bussines of instant gardens and cleaning about 5 years ago.i was 400 dollars in credit.i asked for the account to be closed as i am no longer permenantly in n.z so it was closed.i thought.5 years later it magicaly is open with 0 credit balance and a900 dollar fee that is now in their credit recovery system. can anyone help me.